VIRGINIA BEACH, Va. (WAVY) -- 10 On Your Side is helping Veterans prepare for a new rule that goes into effect on Thursday, Oct. 18. According to the U.S. Department of Veterans Affairs, pensions will change beginning Thursday for those of you using long-term care services. Shannon Laymon-Pecoraro, a lawyer with Hook Law Center, says failing to plan is planning to fail when it comes to these changes. "In a region like ours that is home to so many military Veterans, we think it’s important to tackle this issue head-on so people can start to address these changes before they take effect," Laymon-Pecoraro said. Laymon-Pecoraro is referring to Veterans like Frank Rough, a retired senior chief who served in Vietnam. "I planned all my life for retirement and to have that possibly taken away so I could have Veterans benefits is crazy," said Rough. 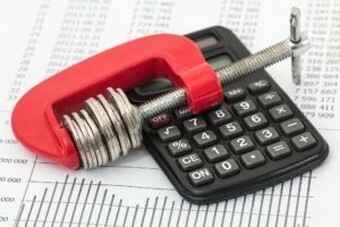 Rough is talking about changes that could make it more difficult to qualify for certain important benefits, according to Hook Law. 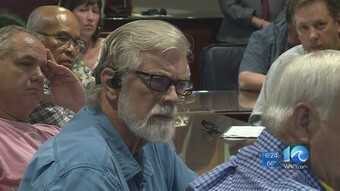 That's why Rough and other Veterans attended a Hook Law seminar regarding the changes. 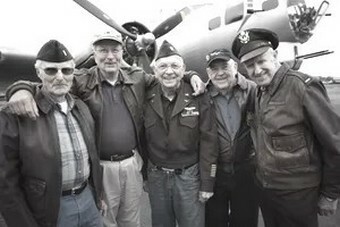 The VA pension program is a needs-based benefit for wartime Veterans who served at least 90 days active duty service, who have limited or no income, who are 65 and older and who may have a permanent and non-service connected disability. What's at risk? According to Hook Law, aid and attendance pension up to $2,170 per month for a Veteran and spouse -- which is money that could be used for long-term care. With the new rules, assets cannot exceed $123,600 to get the long-term benefits. According to the seminar presentation, gifts that you made in the past 36 months -- either to a family member or to an irrevocable trust and an investment in an annuity -- would be penalized with the new rules. This means you could be prohibited from qualifying for VA pension benefits for up to five years, depending on the amount of the gift. "I'm getting older and I may need long-term care and if I go into long term care and they start taking the money I've saved - that's awful," said Rough. So, what should you do between now and Oct. 18? Laymon-Pecoraro said, "Assess are there any significant transfers you want to make or any assets you want protected so that you can then qualify for this benefit if you think you may need within the next 3 to 5 years." It is important to note this change does not affect all Veterans. According to Hook Law, if you are receiving VA service-connected disability or compensation payments, your benefits will not be affected. What Happens in a VA Rating Reduction? There are several different approaches the VA can take to reduce benefits. Of course, the possibility of a rating decrease is heavily dependent on whether the case is protected or unprotected. If a rating has stabilized or continued at the same level for five years or more, the VA must show that all evidence of record indicates a sustained improvement in the disability. This means the medical history for the disability in question must be considered when reviewing records for a possible rating reduction. If the VA cannot show sustained improvement, it cannot reduce a Veteran’s rating. The VA must also review the entire record of examinations to determine whether such examinations are full and complete. If not, they may not be considered in a VA rating reduction. If a Veteran’s disability has been rated at the same level for 20 or more years, the VA cannot reduce it unless it can show that the disability rating was based on fraud. When the VA considers reducing a 100% rating (including TDIU based on individual or combined rating), it must determine whether there has been a material improvement in the physical or mental condition evaluated at 100 percent. An examination is necessary for the VA to do this. Additionally, if the Veteran has experienced material improvement on a schedular rating, VA must still consider whether he or she qualifies for TDIU. Proposed reductions must be based on review of the entire history of the Veteran’s disability. The VA must make a determination as to whether there has been an actual change in the disability. Improvement in the disability must be shown in the Veteran’s ability to function under the ordinary conditions of life and work. Examinations reporting any such improvement must be thorough. When the VA determines a rating reduction is proper, due process protections apply. 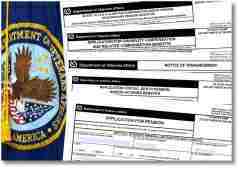 The VA must provide prior notice to the Veteran of the proposed reduction. The Veteran must be given 60 days after the notice to submit evidence to rebut the proposal (the 60-day notice requirement is not enforced in cases where the Veteran’s compensation will not be altered as a result of the reduced rating). The Veteran also has a right to a predetermination hearing, which must be requested within 30 days of notification of the proposed VA rating reduction. The proposed reduction, if implemented, would not take effect until after this hearing has taken place. In the event a Veteran receives a proposed VA rating reduction, it is important to provide any and all evidence to fight the VA’s proposal. If the VA schedules an examination, attendance is critical. Failure to do so will result in an automatic reduction. If the VA unfairly reduces your rating, don’t give up. There are many ways to fight this decision. One of them is hiring a Veterans’ law attorney. With many Veterans counted among our attorneys and staff, we know firsthand the struggles service members face when they return home with injuries and disabilities. Our firm has worked closely with Veterans for fifty years and we have recovered millions of dollars in back pay awards. Military Veterans are entitled to a home loan guarantee (within dollar limits) when they purchase a home. While this is commonly referred to as a "VA Home Loan," the money is not actually loaned by the government. Instead, the government acts as a sort of co-signer on the loan, and guarantees the lending institution that they will cover the loan if the Veteran defaults. This can result in a substantial reduction in interest rates, and a lower down payment requirement. All this week on Stateside, we're looking at why more Michigan Veterans aren't getting the help they may be entitled to from the VA. The state has consistently ranked in the bottom five states and territories when it comes to helping Veterans and their families access federal VA benefits. Part of the problem is that the state doesn't have enough accredited Veteran service officers. These are the experts who help Vets navigate all the red tape in the VA's complex application process. Nearly 600,000 Veterans live in Michigan. There are around 135 Veterans service officers at the county level, which Smith says is not nearly enough. He says that this shortage is part of the reason why Michigan ranks 48th in the nation when it comes to Veterans receiving federal benefits. "If a Veteran or a survivor or a dependent has nowhere to go to talk to someone who can advise them, and council them on benefits, and then assist them in the process of applying for those benefits, then they won't do it," Smith said. Listen above to hear Smith talk about what the Michigan Veterans Affairs Agency (MVAA) could be doing to better support Veterans, and his advice for Veterans seeking help with determining their own potential VA benefits. One of the major aspects of developing a disability claim with the VA is gathering and submitting relevant evidence to help support it. The VA has what is called a duty to assist, however, it can be extremely beneficial to also gather your own evidence during the claims process. By submitting various forms of evidence, you provide the VA with more information and different angles for them to view your case. The type of evidence you should consider submitting will depend greatly on the disabilities that you are experiencing and at what step of the process you are at. When trying to initially get your claim service connected, you have to show an in-service event that led to your disability. The easiest way to prove this in-service event is with your service records and medical records, if the event is documented. Whether it is a physical injury, or a mental one, having it documented in your service records can be a huge stress reliever when it comes to managing your VA claim. If the in-service event is not documented in your service record, don’t give up on your claim! There are other pieces of evidence that can be used to help prove your claim. Service records can also be beneficial when you need to prove you were in a certain location during a specific time period. For example, for the VA’s presumptive illnesses, you may need to show that you were in Vietnam or Thailand between 1962 and 1975, or that you were stationed at Camp Lejeune between 1953 and 1987, or even possibly that you served in the Southwest Asia Theater during the Gulf War. Your service record should contain any documents that show what units you were assigned to and the location of each. These documents can include, but are not limited to, orders, travel vouchers, re-enlistment paperwork, and awards. Medical opinions can be useful, whether you are trying to show service connection for a disability, or if you are requesting an increased rating. Medical opinions allow for an outside doctor to review your claims file and meet with you to discuss your disabilities, symptoms, and the limitations you suffer because of it. They can provide the VA with a detailed medical account to show diagnosis and severity. When filing for increased compensation based on unemployability, it is required to disclose your employers of the last five years that you actually worked. By giving the VA the employer’s name and address, it allows them to send the employer a form to verify when you worked there, your total income earned, the type of work you did, and anytime you lost due to illnesses. Basically, they are verifying all of the information that you included on the form 21-8940, but they want to hear it from the employer. You can expedite this step by sending your previous employers a form 21-4192 when you first file for individual unemployability. Buddy statements can be helpful at any point in your process with the VA. If you are trying to get service connected or receive a higher rating, a buddy statement can prove to be your best piece of evidence. Generally, buddy statements will come from close family members or friends who have witnessed your disabilities and the change they have caused in your life. Buddy statements can also come from fellow service members, and can be beneficial if you are trying to prove a specific location or an event in service. They can help to corroborate the facts to the VA and provide an additional outlook on your situation. Deck logs can be vital to a Navy Veteran’s claim, especially when they need to show that they were part of the Brown Water Navy, serving within the inland waterways of Vietnam. For these Veterans, the deck logs for their ship during the time they were deployed to Vietnam can be requested and used to show on what days their ship was inland and what specific bay or waterway they were in. Deck logs can also be used to help prove a stressor that may have occurred on board on the ship. For example, if there was an active shooter on the ship and a Veteran developed PTSD and is now trying to get it service connected, the deck logs can be used to prove the incident occurred and provide the details of the situation. If you are trying to obtain additional compensation for your dependents, there is also evidence required for these benefits to be granted. When you file for dependents with the VA, you must complete a form 21-686c. With this form, you list any current and prior marriages, as well any prior marriages of your spouse. You also list any children who may qualify for benefits. To prove you have a spouse, you may be required to submit your marriage certificate and any prior divorce decrees. To claim children, you may be required to submit their birth certificate, so it is helpful to know where these documents are and have them ready to avoid further delay with the VA. In the summer of 2017, President Trump signed into law the Appeals Modernization Act establishing a new process for the VA in the way they handle benefit processing. The Act is designed to improve timeliness, provide more transparency, and be fairer in an effort to improve benefits for Veterans. The Act is expected to go into effect in February 2019. RAMP, the Rapid Appeals Modernization Act, is an invitation for Veterans to enter into the program earlier than the February 2019 date and gives two options for Veterans to participate, either the Supplemental Claim or a Higher-Level Review Claim. As of April 1, 2018, all Veterans who have a claim on appeal are eligible to participate in RAMP. However, the question is, should you? Have a remand from the BVA. Veteran’s can “opt-in” by sending in a signed opt-in form which allows them to transfer their claim to the RAMP program and submit new and relevant evidence in support of the claim. The longer it takes for the new evidence to be submitted, the longer it will take for a decision to be made. The VA is stating they expect to complete supplemental claims within 125 days. 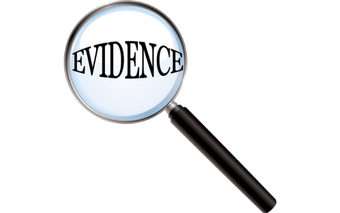 Material evidence was defined previously as “relevant and related to an unestablished fact necessary to prove the claim. It must have a legitimate influence or bearing on the decision, and cannot be cumulative or redundant.” In the legal world, material evidence is offered to prove an issue is true. Relevant evidence seems like it should be the same as material. 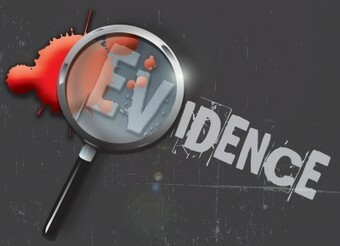 However, in the legal world, relevant evidence must be material or have probative value, which means it must show the issue is more or less likely true, it does not necessarily have to prove anything. This seems like a lesser degree of weight required for evidence, but again, there is no official ruling by the VA as of yet. This is actually more in line with the VA’s policy of siding towards the Veteran, but is still something we will be watching closely as decisions are rendered. Once a claim has been denied due to evidence not being new and relevant, an appeal will come forth to request a definition from the VA. However, we are still waiting on definitions for and clarification on so many other legal terms used by the VA, it may be years before a clearer understanding of the difference in required evidence is made. One of the most important things to remember is to gather all your evidence PRIOR to opting into the RAMP Supplemental Claim Lane. The VA still has to develop evidence at their end, and waiting to submit evidence after you have opted in will only slow things down. What Can Be Submitted as New and Relevant Evidence? First, the evidence must be new, something the VA has not seen before that is not redundant or a repeat of records already reviewed. For example, new records from treatment provider showing the same diagnosis will not be considered new, but records showing an increased level of severity or a new diagnosis concerning the same issue will be considered new. An independent medical evaluation is considered new evidence. Relevant means, for the sake of this article, that it has to do with the issue(s) on appeal. Filing evidence of a psychiatric diagnosis is not relevant to a back condition, unless there is a diagnosis of pain syndrome that is causing the mental health condition. In other words, the evidence submitted must be linked to the condition on appeal, even if it is a secondary condition due to the original issue claimed. Lay evidence: a statement from a non-professional that attests to the Veteran’s behaviors or physical conditions that has not been previously submitted and the VA has no previous knowledge of. For example, on a PTSD claim, submitting a statement from a parent stating how the Veteran’s behaviors have changed from prior to service compared to after service. Medical treatment records: from a treatment provider, private or the VA, that includes new information such as a new diagnosis, an increased level of severity, or a secondary diagnosis related to the issue on appeal. Independent medical opinion: an opinion from an objective provider who has nothing to gain from or investment in either the Veteran or the VA. The provider is presented with documented evidence of the claim, the same evidence the VA has reviewed, and provides their unbiased opinion of the facts. Service Records/Service Medical Records: Any service records the VA has not already reviewed that have new evidence of the issue such as treatment records showing the Veteran received treatment for the condition in service where no records had been reviewed prior or of an event that is related to the condition. This can also include the service records of other service members who served with the Veteran. For example, if a Veteran is appealing a denial of PTSD and another service member in their unit received a purple heart for being injured while they were stationed together due to an IED, that would be new and relevant evidence. As with any new program, there are always bugs to work out. The VA’s claims of decisions in 52 days are not coming to light as of yet for most Veterans, and many are not meeting the 125 day deadlines either. Ask your representative or attorney to review everything before you submit it because as the laws are written to make things faster and simpler, they seem to always make them more complicated. There are very certain circumstances that the VA will consider expediting a claim, and they are often confusing as each regional office can sometimes offer expedition for a claim that may fall outside of the parameters based on special circumstances. However, the basic rules for expediting a claim are laid out in the VA regulations below. We will also discuss some ways to help make sure your expedite is reviewed with the minimal possibility for errors. a survivor of a former Prisoner of War (FPOW). received the Medal of Honor. However, there are some guidelines and exceptions, as well as some confusion and irregularities in the regulations that Veterans need to pay close attention to. Age: Here is where irregularities sets in. The VA regulation M21-1, Part III, Subpart ii, Chapter 1, Section D states that the eligible age for expediting a claim is 85. However, 38 CFR § 20.900, which is the Federal regulation set forth by legislation states that the age of 75 years or older is eligible for expedition. Many regional offices use the age requirement of 85 years of age to reduce the number of claims they are backlogged. However, the federal regulation clearly states 75 years of age so if an RO is stating a Veteran does not qualify because they are under 85, please refer to this regulation. Extreme Financial Hardship: Financial hardship is granted on a case-by-case basis and a Veteran must have documentation to prove their case. There are specific situations where the VA will consider a financial hardship and these include home foreclosure, bankruptcy, inability meet daily living expenses such as food and electric, or having utilities being turned off; past due mortgage or rent payments. Preventing homelessness is often a priority in financial hardship cases. Poor Health: 38 CFR 7107 states that a case may be advanced based on poor health. This is usually defined as terminal illnesses or injuries that will lead to a person’s eventual death. These types of illnesses or injuries include terminal cancers, heart failure, or injuries that are deemed by a physician to lead to death. To file an expedite request, a Veteran will have to ensure they have documentation to support any claim they are making. For example; shut off notices for utilities, diagnosis and treatment records for illness/injuries; a statement from a social worker or other official identifying the Veteran as homeless (medical professional, DFCS, non-profit organization provider, etc.). Is Getting a Claim Expedited Worth it? Filing an expedite request on a claim will speed up the clock and will help your representative or attorney push to get a decision made on your case. Most of the time it does speed up the process, but there are never any guarantees that it will get a decision in time to prevent the loss from happening. The VA’s new program is attempting to work faster and more efficiently, in all cases, to prevent more Veterans from becoming homeless or passing away before their benefits are awarded, but in any case, your representative knows exactly which forms you need to get the expedite approved and moving. The rates and options vary among the different plans, but according to Beasley, officials with the Office of Personnel Management said the average gross dental premium for 2019 increases by 1.2 percent compared to rates for 2018. That does vary; for example, the FEP BlueDental rates for 2019 are decreasing on average by 6.8 percent for the high option and by 7.8 percent for the standard option, according to William A. Breskin, senior vice president of government programs for the Blue Cross Blue Shield Association.